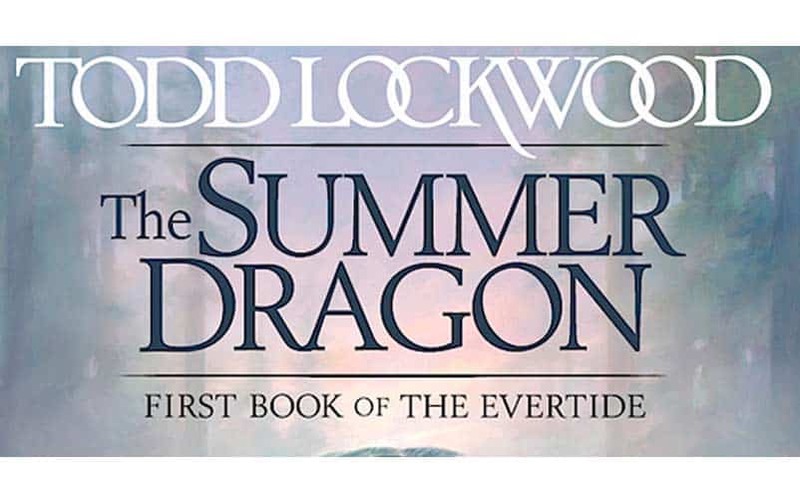 The Summer Dragon by Todd Lockwood Review | Nerd Much? Todd Lockwood has been an acclaimed fantasy and science fiction illustrator for years, best known for his work on tabletop role-playing game Dungeons & Dragons and the cover art for R.A. Salvatore’s highly popular books. Apparently, after illustrating fantasy worlds all this time, he has decided to try his hand at writing one. The resulting novel, The Summer Dragon, has only made us regret that he did not make the jump sooner. This breathtaking debut is the first entry into his new series, The Evertide. Lockwood has imagined a rich world, brimming with history and religion. Still, it gives the reader the impression that he has provided only the barest glimpse into that world, and merely scratched the surface of the political machinations at work. There were several points, however, where I was confused and had difficulty following the characters’ discussions of the world’s mythology; perhaps this was intentional and the author means to explain these things later, but it was occasionally disruptive to my progress. He certainly left room to expound on these concepts in the sequels, though, and I can’t wait to see what he has in store, because what little we’ve seen is fascinating. It’s always refreshing to see a strong female protagonist in a high fantasy novel, and The Summer Dragon certainly delivers in that respect with Maia. The entire narrative is written in her voice, so the reader gets to know her every thought and motivation, and she is very easy to connect with. She struggles not only with the death of her mother but with her mother’s last words to her, which feel like a curse in connection with the story’s events. Nonetheless, she is fiercely independent, intelligent, and stubborn to a fault. Following her encounter with the mythical Getig, the Summer Dragon, Maia is surrounded by men trying to use her experience to further their own agenda, but she is determined to blaze her own path. The other characters are likewise well-developed, and the dynamics of Maia’s family are realistically complex and engaging. What really sets this novel apart, of course, is the intimate relationship detailed between humans and dragons, much in the style of Anne McCaffrey’s Dragonriders of Pern. I think it’s impossible to read this novel and not immediately want to find a baby dragon of your own to raise (if only). Far from the mythical, treasure-hoarding beasts they are usually depicted as in Evertide they are bred and raised as companions and mounts for humans. They are described as highly intelligent and sensitive, with a language of their own and the capability to learn human language. There are touching and often humorous moments between Maia and her dragonling, which lends the perfect amount of lightheartedness to what is otherwise a fairly dark novel. The plot is paced spectacularly, with very few lulls in the action; I found myself drawn in from the very first page, and unable to put it down after that. His descriptions of dragonflight and the epic battles on dragonback were vivid and exhilarating, and the undead dragon horrors sent chills down my spine. The ending ripped my heart out of my chest, but I may be able to forgive Todd Lockwood in time for the second book (which I fervently hope isn’t too far off). The ending, although highly satisfying, does leave the reader with more questions than answers, and almost makes me regret reading this before the next one has even been announced. Almost. We highly recommend The Summer Dragon for anyone with an interest in dragons, amazing female heroes, and beautifully developed fantasy settings with just a hint of magic.